Have you ever bought your groceries and enjoyed them coming at your door? It may sometimes be tough to find the right supplier in this area. This is especially because you may want your groceries to be both fresh and good looking. Here’s a review of Tom Thumb delivery, a service you might enjoy once you try. Read more and discover the delivery time, fees, areas, and other relevant information! 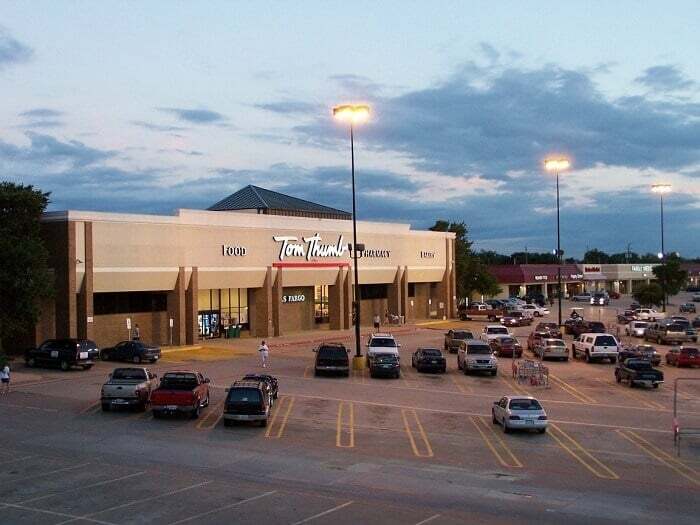 Tom Thumb is a chain of supermarkets that exists within the metropolis of Dallas-Fort Worth. The company also expanded out to places such as Houston, Garland, Austin and Arlington. They bought over store locations with other names, such as Hinky Dinky, Pantry Food Market and Simon David. People who live within a few miles of a Tom Thumb location will most likely be eligible for delivery services. If you want to know whether or not you are eligible for home delivery, go to the website and type in your zip-code. Tom Thumb delivers groceries to homes and businesses. People who work for Tom Thumb drive Tom Thumb trucks and haul the products to customers. At most locations, deliveries take place 7 days a week, from 9:00 AM to 10:00 PM, local time. Tom Thumb also offers same day delivery. You must call by a certain time to receive your groceries in a specific time frame. In order to receive your groceries between 9:00 AM and 3:00 PM, you must place your order by 3:00 AM. If you want to receive your groceries between 4:00 PM and 10:00 PM, you must place your order by 8:30 AM. There are one hour, two hour and four hour delivery windows that you can choose from. There are various fees and rules that apply when using Tom Thumb’s delivery service. In most areas, home delivery rates for grocery bills $150 and higher (excluding delivery fees, applicable tax, fuel surcharges and bag fees) is usually $9.95. For purchases under $150 (excluding delivery fees, applicable tax, fuel surcharges and bag fees), the delivery rates are usually $12.95. There are also business delivery rates. For purchases over $150 (excluding delivery fees, applicable tax, fuel surcharges and bag fees), the delivery rates in most areas are $14.95. Business purchases under $150 (excluding delivery fees, applicable tax, fuel surcharges and bag fees) have delivery rates of $17.95 in most areas. Your order confirmation at checkout will state that it is only an estimate of the actual bill. This is because there are various charges that are added onto your bill when you order groceries online to be delivered to you. There are many sales and promotions that pop up that may actually bring the price of your bill down. There is a fuel surcharge of 10 cents for every 10 cents increase gas prices above $2.75 gallon. The fuel surcharge will show up on your final receipt. There is no fuel surcharge if you qualify for free delivery. You will get free delivery on your first online order if you are a new customer. However, in order to take advantage of this opportunity, you must not forget to type the promo code EASY7 at checkout. If you are not a new customer, there are still opportunities for free or discounted delivery. You must click on Online Savings, from the red navigation bar at the top of the page, to view offers. You can also receive Reward Card savings – online and in-store options may be different. At the time of delivery, there must be a person around to receive the groceries who is at least 18 years of age. Products with age restrictions, such as cigarettes and alcohol, will only be delivered if there is someone around who is of age and can prove it with a valid ID. If there is nobody around who fulfills age restrictions, the groceries will be taken back to the store. Then, the store representatives issue a refund to the credit card that you used to buy the groceries. When a person reasonably appears to be under the age of 30, he or she may be asked to show identification. In some areas, Tom Thumb Delivery provides Unattended Delivery windows where nobody has to be around to receive the groceries. Therefore, groceries are left in front of the home. Tom Thumb Delivery carries no responsibility for anything that happens to your groceries after the groceries are left in front of your place of residence or business. Certain products are restricted from being delivered to people’s homes. Stamps, books, DVDs, magazines and greeting cards cannot be ordered online for delivery. Also, certain age-restricted products, such as cigarettes and alcohol cannot be ordered while using the Unattended Delivery window. If you are not satisfied with products bought from Tom Thumb, you can call customer service and demand a complete refund or credit. Tom Thumb’s Customer Support people will issue credit to your card that is equivalent to the full amount, including applicable sales tax. These are the terms of Tom Thumb’s delivery service. If you have any questions, comments or concerns, feel free to contact them via phone, the internet or in-person! They would be glad to help you with your needs and concerns. Hey Buddy!, I found this information for you: "Tom Thumb Delivery 101: Areas, Hours, Fees". Here is the website link: https://all2door.com/tom-thumb-delivery/. Thank you.